After an exciting first night in Vegas, many of us chose to wake up early so we could experience the much anticipated Las Vegas buffet. The buffet had everything from Sushi, to an omelette bar, to ice cream. I believe I can speak on behalf of all us of that it lived up to the hype. 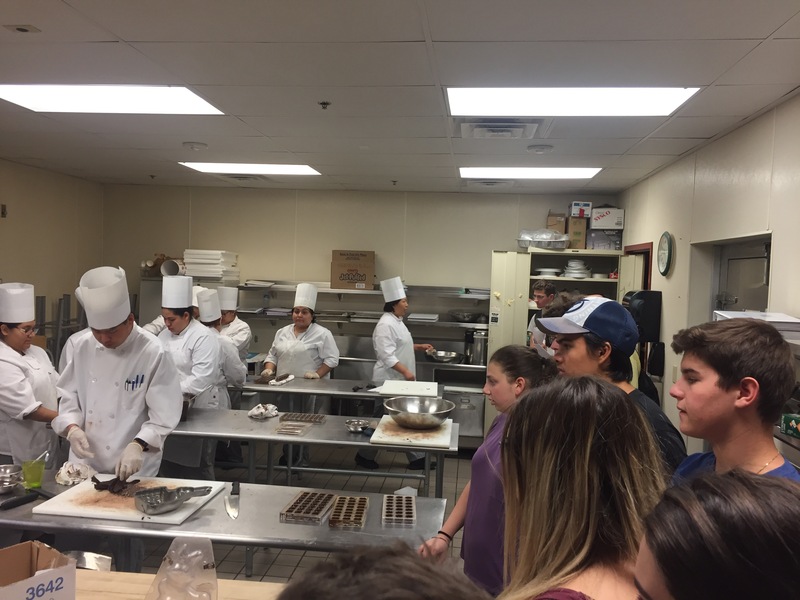 After breakfast, we headed to our first stop of the day: The Culinary Academy Institute of Las Vegas. 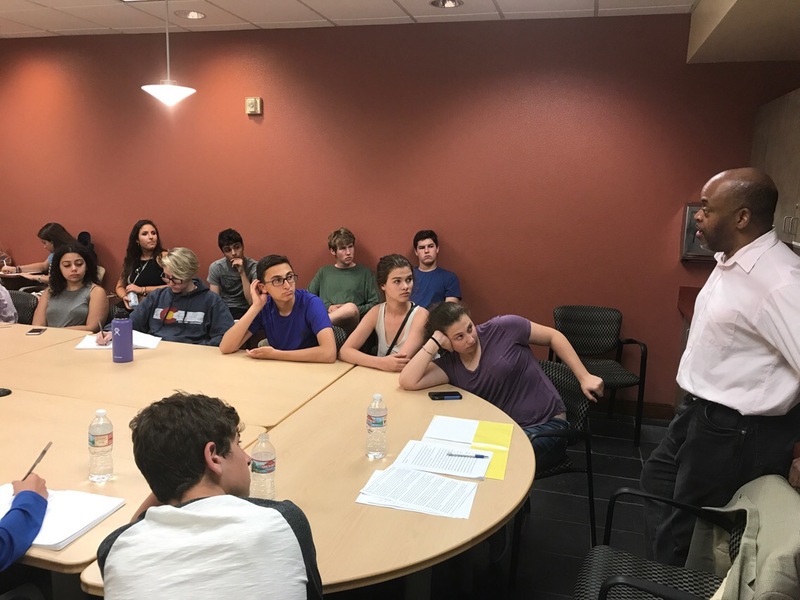 We learned about how the non-profit academy provides training for hotel/casino applicants with the hope that by the end of their training, they can find them a unionized job in the thriving Las Vegas hospitality industry. Having interned in a hotel myself last summer, I was excited for this discussion and to learn how the institute provides opportunity for aspiring hospitality workers who might not have had the same chances I had. Going off of that, the institute receives people from all over the world and hence teaches English to foreign speakers. Anyhow, we learned that the institute offers courses in everything from housekeeping, to being a porter, room attending, cooking, and serving. One of the key points we learned was that the institute is pro- union and works to ensure that graduates receive jobs in unionized hotels. The representative provided us with some of the benefits of joining a union which include helping people switch status to become U.S citizen (the citizen project), a grant of 10,000 dollars to buy your first house, higher average wages, free health care, and discounts when working on the strip. The director of the Institute talked about the importance of unions given the brutal work conditions hotel workers often face. As the director said, “hotels don’t care if you bleed…you have to fulfill the quota”. Had we had more time, I would have loved to have learned more about the reasons that many hotels do not offer unions and how the Institute would have respond to anti-union arguments. With that said, having come in with the belief that unions can potentially lower productivity, I feel I have a better sense of some of the positives of unions. What was also particularly interesting for me was that we got to tour their mockup hotel rooms where they actually have replicas of the different hotels they partner with to provide hands on practice for students. 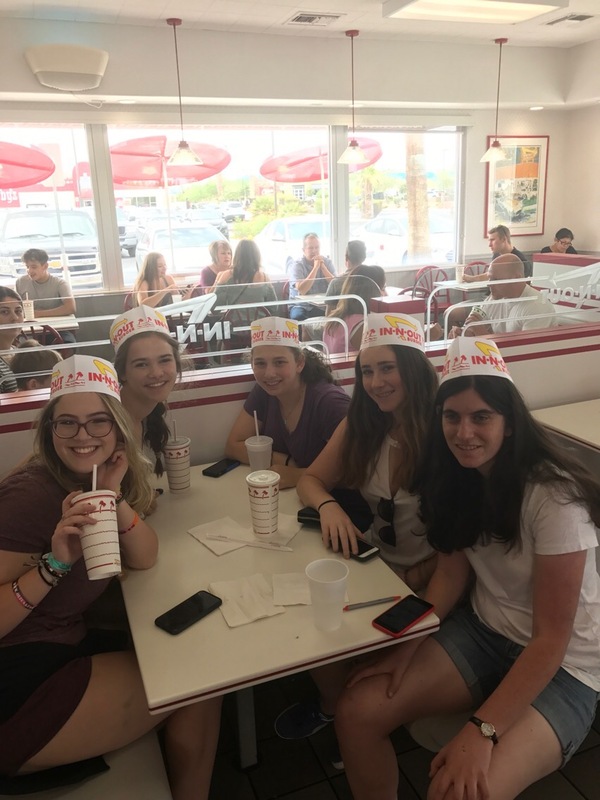 After our tour and discussion about the pros and cons of unions and how the Las Vegas Institute works to find unionized jobs for graduates, we went to what many consider the epitome of American culture: In N Out Burger. 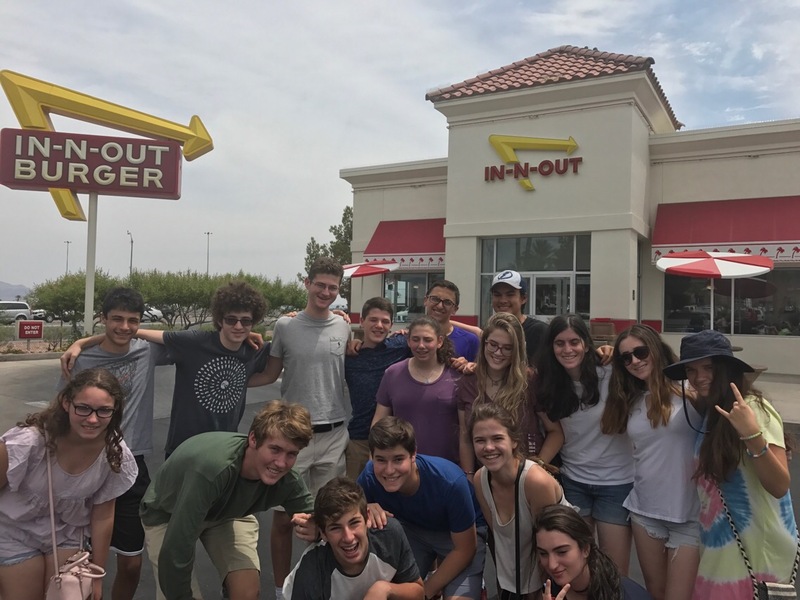 Most of us got the classic burger and fries and some even adventured out to get animal style fries. One of the things I noticed while eating was how on all packaging they had a verse from the bible. Additionally, one thing I thought about was how the prices are significantly lower than competitors while still having higher quality ingredients. 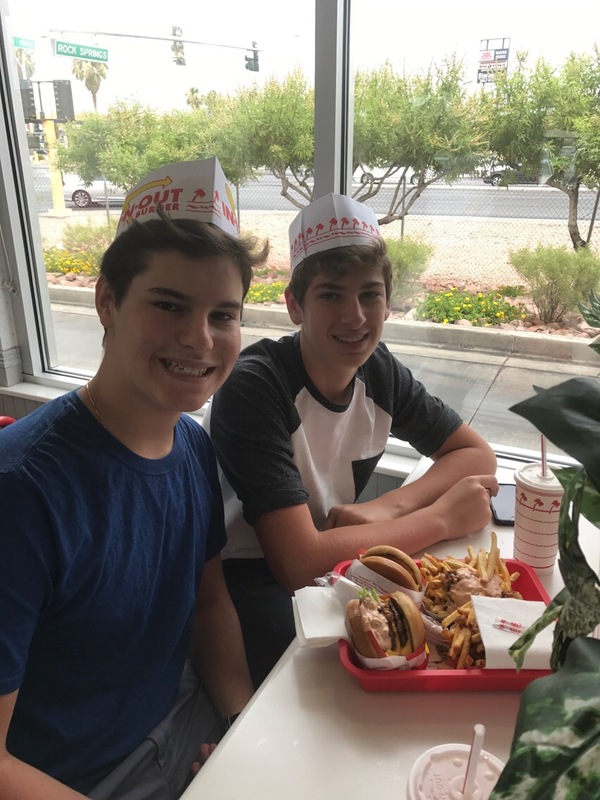 I believe that we can attribute this to the reality that In N Out is private and not a public company and hence doesn’t need to focus as much on short term profit and rather can focus on creating a brand that people will continue to go to- therefore creating long term growth. 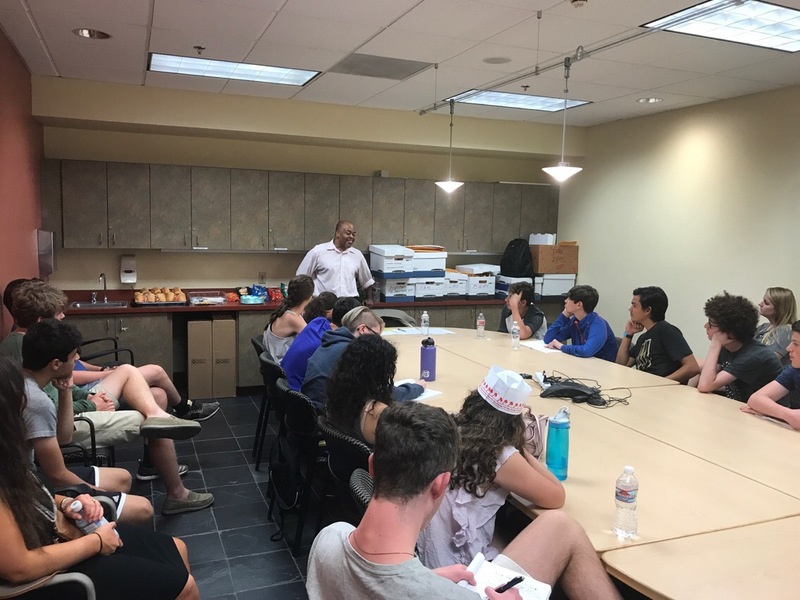 After In N Out, we got back to business and had the opportunity to hear from Niger Innis who is a Tea Party Member (who previously ran for congress as a Tea Party Candidate). Niger walked us through how the Tea Party was formed and how at its core it tries to mimic colonial rebellious motives and how the party was formed as a reaction to a growing government. We learned the Tea Party very much believes in the constitution. Indeed, the Tea Party’s biggest tenants are that government is straying away from the constitution and that we need to get back to being strict constitutionalists. Additionally, a key tenant is that the Tea Party believes in a smaller government while still having a safety net. Third, and not surprisingly, the Tea Party believes in lower taxes and “that the power to tax is the power to destroy”. Finally, Mr. Innis notes that the Tea Party stands for legal immigration but makes it clear that he doesn’t think immigration is a right but rather a privilege that must be taken seriously. Likewise, he strongly values assimilation of immigrants. In conclusion, the majority of my fellow Etgarians had different political views than what we thought Mr. Innis and his movement might offer. 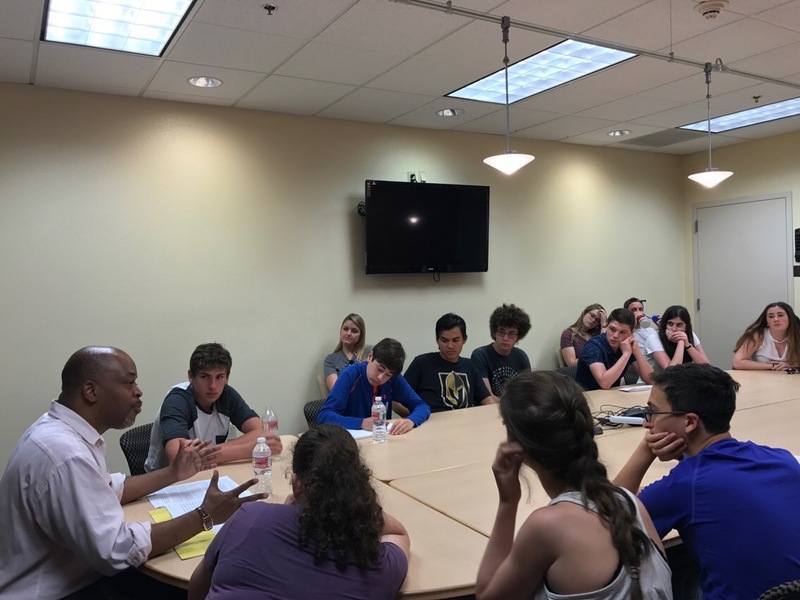 However, Mr. Innis provided a space for us to engage in a productive conversation to weigh our differences. I personally left with the understanding that the Tea Party doesn’t fully overlap with the conservative movement particularly on more of the social issues. After our meeting with Mr. Innis, we had some free time at our hotel, The Orleans. Me and my friends decided to go to the arcade where we stupidly wasted a lot of money on prizes that were worth a lot less than we spent (reminds me of something else in Vegas:)). 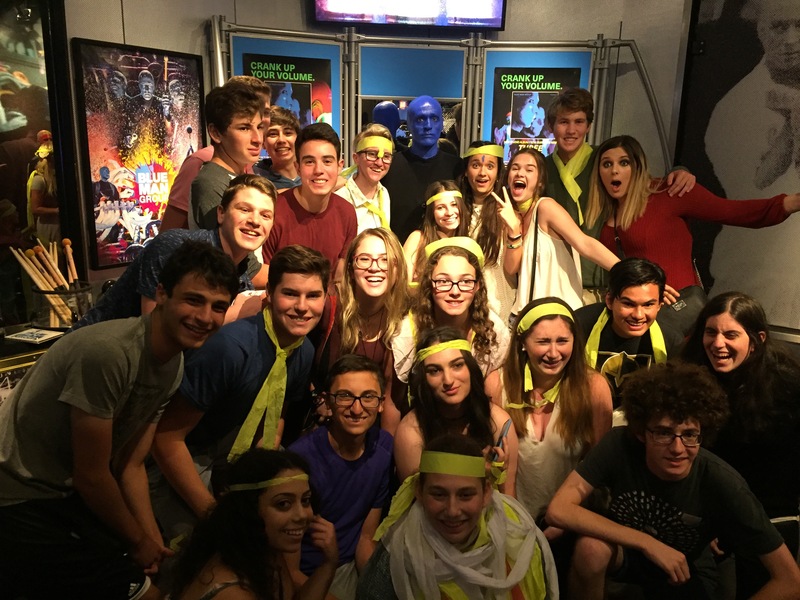 After, we went to the see the show Blue Man Group. It was truly a unique experience and as Billy alluded to after, the way the Blue Man Group can tell a story without words is a true skill.